Submitted by ajasaro on Mon, 10/29/2007 - 12:36pm. 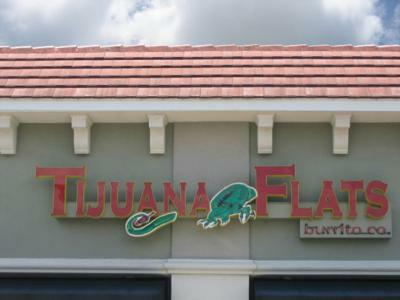 Tijuana Flats is an American chain restaurant serving Tex-Mex cuisine. It is known for its hot sauce selection and for its unusually-decorated interiors, which depict mythological creatures.